Hetalia Poster. . Wallpaper and background images in the Hetalia club tagged: hetalia aph america italy prussia russia england germany. This Hetalia photo might contain anime, bande dessinée, manga, and dessin animé. Right. 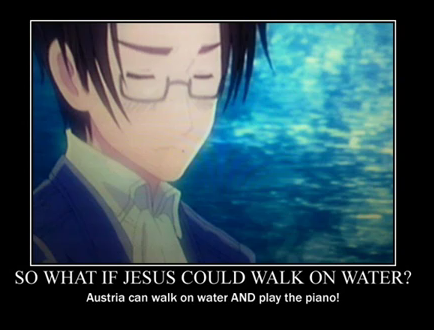 I mean, Hetalia can do anything Chuck Norris, Bruce Lee and Jesus can, but better.